Alexander’s Heirs offers a narrative account of the approximately forty years following the death of Alexander the Great, during which his generals vied for control of his vast empire, and through their conflicts and politics ultimately created the Hellenistic Age. 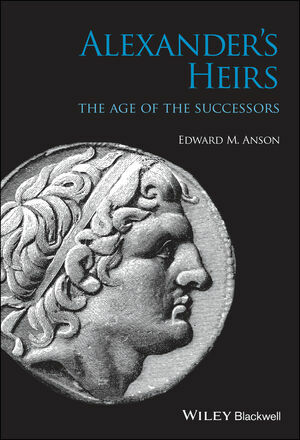 Edward M. Anson is Professor of History at the University of Arkansas at Little Rock. He is the author of Alexander the Great: Themes and Issues (2013) and Eumenes of Cardia: A Greek Among Macedonians (2004), and co-editor of After Alexander: The Time of the Diadochi (323-281 BC) (with V.Alonso Troncoso, 2013).